Norman K. Perttula’s forte as an architect is his ability to design visually stunning buildings that serve the needs and uses for which they were created, work in concert with other buildings and adjacent spaces, and are buildable—no small matter. In short, he designs buildings that not only look impressive on the drawing board, but are both realistic and practical as well. For these reasons, Perttula (PURR-tuh-luh) has been entrusted with the responsibility for creating some of Northeast Ohio’s most prominent structures, as well as important commissions around the nation. The citation read at the awarding of the Cleveland Arts Prize in 1973 cited “his great skill at handling large complicated developments. 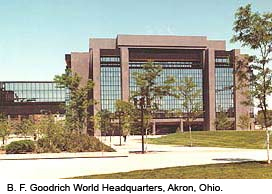 His own beautiful drawings show a close involvement with every detail of his buildings.” Among the projects that exemplify these challenges—and Perttula’s signature gifts—is the world headquarters he designed for B. F. Goodrich in Akron, Ohio in 1971, the keystone of a major urban renewal project. A three-level bridge connects the new building to the historic existing manufacturing and office facilities. 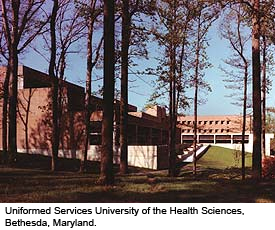 Other major projects included the Ohio Bell Corporate Data Center in Brecksville, Ohio (1973); Springfield College Library in Springfield, Massachusetts (1973); Ohio University Library in Athens, Ohio (Phase One, 1967; Phase Two, 1971); the Society for Crippled Children’s Human Rehabilitation Center on East Boulevard in Cleveland (1964); Cleveland State University’s main classroom building (1971); Lakeland Community College in Lake County (1969, 1971, 1973); and Park Centre (now Reserve Square), a bold experiment in downtown living that combined a multi-level enclosed shopping mall, recreational facilities and indoor parking with 1,000 apartment units. It was built in 1973. Born in Duluth, Minnesota, the grandson of Finnish immigrants, Perttula had won early recognition for his talent in the form of scholarships—first to the University of Minnesota and then to Harvard University, where he earned his master’s degree and came to the attention of the great Finnish architect Eero Saarinen. During his five years with Saarinen & Associates (based in Birmingham, Michigan), Perttula would be a part of the team that designed the University of Chicago’s Law School Library (1959) and TWA’s International Terminal at New York’s JFK Airport (1960) He would be captain of the architectural team that designed the Dulles International Air Terminal in Washington, D.C. (1962). Perttula was recruited to Cleveland in 1961 by Dalton . Dalton . Little . Newport, for which he would serve as design principal/director of design for more than two decades. 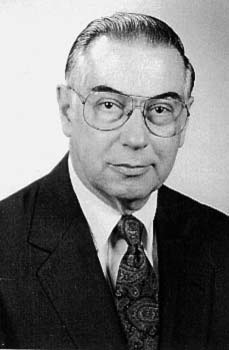 He was senior design principal for successor firm URS Consultants, Inc., from 1984 until his retirement in 1991. He continues to handle occasional special projects. Norman Perttula has won numerous regional and national awards for his projects. 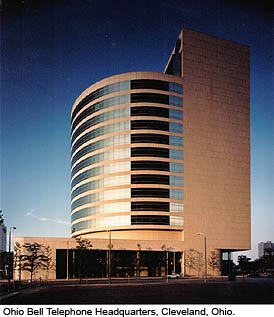 A few of the most significant, besides those already mentioned, are the Cleveland State University Convocation Center in downtown Cleveland (1991); Ohio Bell’s corporate headquarters at East 9th and Lakeside (1984); Master Builders’ World Headquarters and Technical Center in Beachwood (1980); the adaptive reuse of Firestone Tire & Rubber world headquarters in Akron (1983); the Air Force Institute of Technology’s Science, Engineering & Support Complex at Wright-Patterson Air Force Base in Dayton, Ohio (1986); the Martin Luther King Jr. Memorial Building at Wilberforce University (1972); and the Uniformed Services University of the Health Sciences, a medical school for the military, in Bethesda, Maryland (1980), which received the U.S. Department of Defense’s prestigious Blue Seal Award for most outstanding design. Several of Perttula’s award-winning projects posed special challenges. 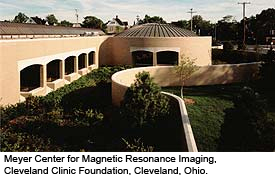 The Cleveland Clinic’s Meyer Center for Magnetic Resonance Imaging (1983), the first building in the world designed specifically to house that revolutionary medical technology, had to be constructed without the use of conventional steel or other materials capable of generating a magnetic field. 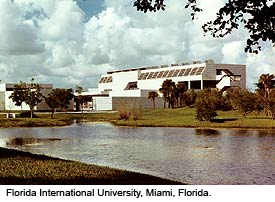 The two buildings commissioned by Florida International University in Miami (1976), on the other hand, had to be built using large amounts of concrete (an important local building material). In the first instance Perttula came up with alternative means of supporting the structure while accommodating the distinctive shape required by the technology; in the second, he produced a design that employed both poured-in-place and pre-cast concrete in ingenious ways to create buildings the judges found both interesting and exciting. Three years after winning the Cleveland Arts Prize, Perttula was elected president of the Cleveland Chapter of the American Institute of Architects. In 1981, he was named a fellow of AIA, and in 1983, president of the Architects Society of Ohio, later becoming vice president of its foundation. He has served on the City of Cleveland’s Fine Arts Advisory (now Design Review) Committee from 1973 to the present.